We plan and execute top notch networking events for meeting professionals to connect with hotels, destinations, and convention and visitor bureaus. We recruit and qualify all meeting professional attendees by researching companies within the host location; identifying and contacting their meeting/ event professionals. You’ll gain experience working with a published media company as well as insight into the travel, hospitality, hotel, meetings and event industries. Depending upon your flexibility and our needs, there is potential for you to enjoy complimentary travel to work with the events team in different event venues throughout the United States. You’ll quickly gain insight and skills on what it takes to be an entrepreneur in today’s world. Compensation of $11-$14 per hour. Please send resume and cover letter jobs@smartmeetings.com. Are you a motivated student interested in an internship opportunity that offers a broad introduction to an entrepreneurial business? The student will be exposed to all aspects of the business through the internship, but the primary responsibilities will include sales support, planning and implementation. We use Salesforce, so at the end of the internship you will have a strong understanding of how Salesforce is used in the sales organization. You are a quick thinker with an entrepreneurial attitude, a creative self-starter who is detail-oriented, as well as able to work independently and as a part of a team to achieve results. You have excellent verbal and interpersonal skills with the ability to multitask and be flexible. Please send your resume and cover letter to HR@smartmeetings.com. We are looking for a self-starting editorial intern who cannot wait to get their hands dirty in the publishing world. We look for students and recent grads willing to work diligently, eagerly tackling a wide variety of tasks and writing assignments. Editorial isn’t just writing, so interns that are open to learning new things and contribute do well here. You will work independently and with the rest of the editorial team, so prioritization and collaboration skills are important along with your writing skills. You should have some writing or journalism experience, as well as some familiarity with print and digital tools. Self-motivated writers with a strong work ethic and a desire to get things done should apply. 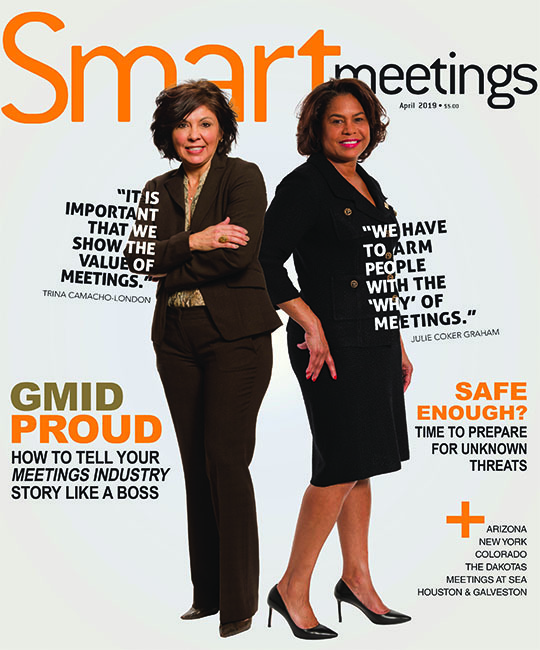 Please send your resume, cover letter and three clips to HR@smartmeetings.com.